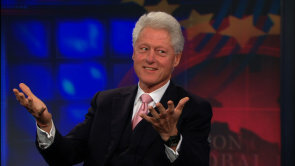 Bill Clinton on the Daily Show discussing how he would approach the problems in the economy. I hope the Dems are listening because everything he said makes sense. I definitely had a "Miss Me Yet?" moment watching this.